Hello wine lovers and happy wine Wednesday. I hope your 2015 is off to a great start! Did you make any New Years resolutions? Personally, I seem to get really inspired some years and make a list, such as the one I shared with you last week. Speaking of which, I am already moving forward on one of my goals for the New Year. One of my aspirations for 2015 was to try at least three new grape varieties and it looks like I am off to a good start! 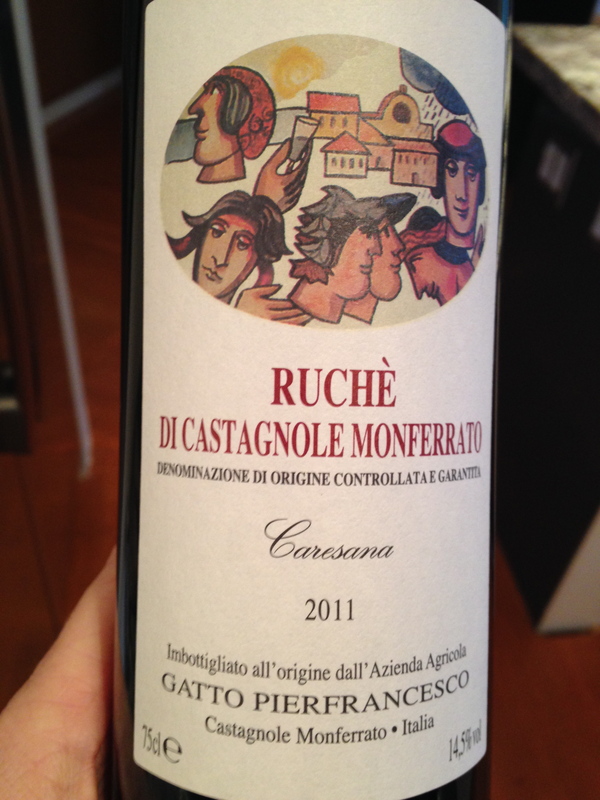 My first review of the year is on the Italian grape, Ruché’ from the ever-so-wonderful region of Piedmont. One of my wine mentors, Lindsay Neilson, brought me a bottle of Ruché over the holidays and it is this bottle of red loveliness that kicks off my 2015 year of wine reviews. This bottle of Italian red Ruché retails for $29.99 at the BC Liquor Stores and is worth every penny. It is a wine to enjoy with medium and aged cheeses and slowly cooked meats. Open up your wine Allow up to two hours for the wine to breathe before you enjoy it. ‘Carensana’ would be an outstanding gift for the wine lover in your life or a gift for yourself to welcome a great 2015.